What on Earth is Reducetarianism All About? You’ve definitely heard of veganism, vegetarianism, pescatarianism, flexitarianism and maybe even breatharianism (living for weeks without food and relying on oxygen to survive – apparently, it’s possible.) But have you heard of the latest way of living, the reducetarianism movement? The diet was co-founded by American and former vegetarian, Brian Kateman a few years ago but, this year, it’s set to hit the big-time. Here’s what you need to know about the latest gastronomic trend and way of life. In short, the movement primarily encourages you to eat less amounts of meat and more amounts of veg. That’s not to say you have to become vegetarian or vegan altogether, but you’re simply eating meat occasionally. Rather than being a black-and-white all or nothing approach to meat-eating, the movement aims to be flexible around what people eat and a diet that they can live by and seems to already be a popular trend with a quarter of people in the UK. A recent YouGov survey found that 25% of people in Britain have cut back their meat intake meaning that although they’re not counted as vegetarians, there’s proof that people want to eat less meat, especially among millennials. Instead of having it for every meal of the day or even every day at least once, reducetarians eat a mostly vegetarian diet with meat and fish a few times a week. About 1.2 million people in the UK are vegetarian and a fair few of that number are vegetarians because of their dislike for current farming practices and the way animals can be treated. The aim of the game is to reduce the amount of meat intake in order to lessen the number of animals killed for their meat and therefore improve farming practices. There are a fair few health benefits that would also make a difference to our diets. For example, we already know that eating a lot of meat, especially red meat, can heighten blood pressure but that’s not to say we should cut it out altogether. There are equally many benefits to including red meat in your diet – iron and calcium are crucial in our diets. How do you go Reducetarian? Adding lentils, beans and other vegetarian forms of protein into your diet alongside meat is already a great way to eat less. It can even be as simple as switching from cow’s milk to almond or coconut milk in the mornings – you may not even notice at all. Spaghetti Bolognese, Chilli Con Carne and lots of minced meat favourites can be switched easily to soy protein and it could be easy to get used to. It is also a good way to reduce unnecessary fat from your diet. Making a meal with half lentils and half meat or making the majority of the dish with veggies will give you the satisfaction of eating meat without eating as much as usual. 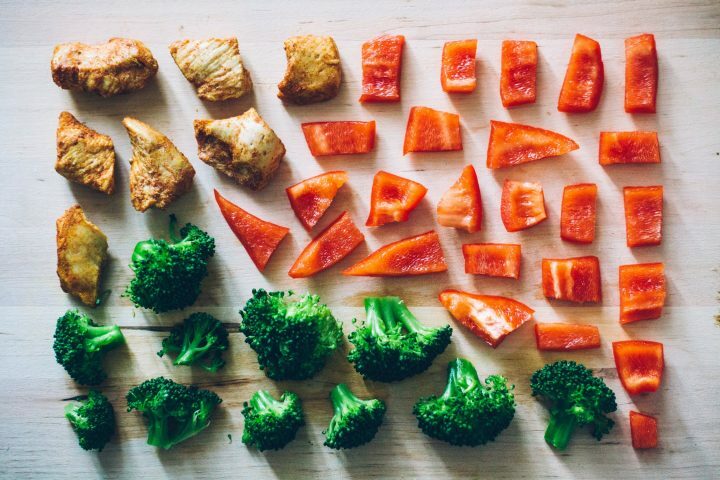 Whether you’re doing reducetarianism or not, meal prep is the key to sticking to any new way of eating or diet. Preparing veg and freezing it means that when it comes to meal times, you don’t have to spend hours chopping. It’s a way to welcome new projects and try out new dishes. Some vegetarian and vegan dishes with a piece of meat or fish are a great happy medium that you’ll get used to in no time. Over the past decade, veganism has increased in the UK by 360 per cent, meaning meat-free living means a lot to many people. There’s no doubt that we’ve all seen a rise in meat-reducing initiatives; Veganuary #MeatFreeMondays and vegetarian challenges that trend on social media. Dietary alternatives such as almond, oat and soy milk are so popular and it’s hard to find any restaurant or café without vegetarian or vegan options. With dietary requirements being such an accessible option, if you are trying to eat less meat, it might just be food trend for you.